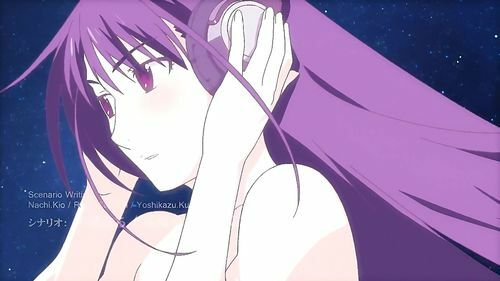 I was all excited to see this new art of my beloved Senjougahara Hitagi, still the best character from the *monogratari franchise. If you believe otherwise, You Are Wrong.™ Well, Nadeko Sengoku is cute too. Unfortunately, I was wrong, for a very different reason. This is someone (who?) from Grisaia no Kajitsu, a visual novel about an academy for socially awkward people. At least, as far as I can tell. It runs on the SOMY PSP, some obscure portable gaming device thing that doesn’t run iOS or Android. It’s understandable why they’d want to take visual cues from one of the greatest modern anime characters ever, but still.